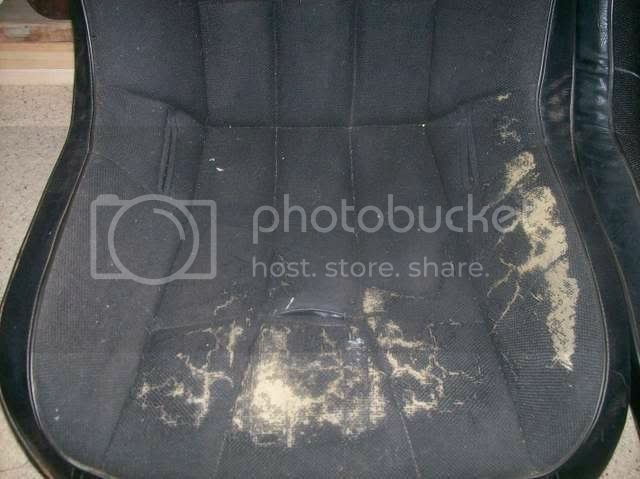 Here is before and after pics. Lookin Good!!! You must be one of those taxidermists er sumthin. They're not back in the car yet, but they turned out NICE!!!! 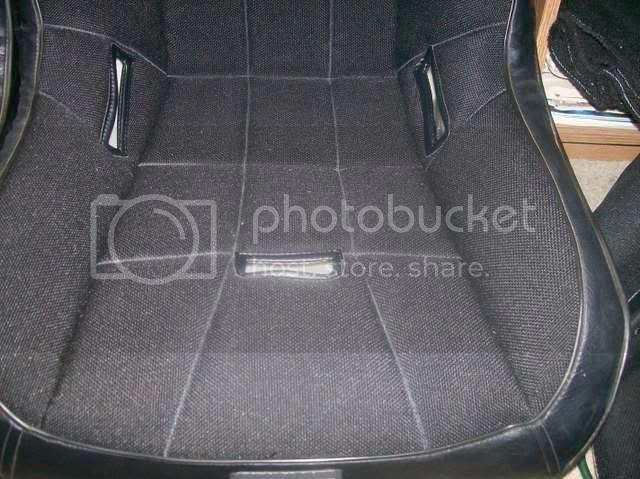 On beard style seats inserts only (not replacing vinyl) around $125 each and for full recovering $165 per seat. 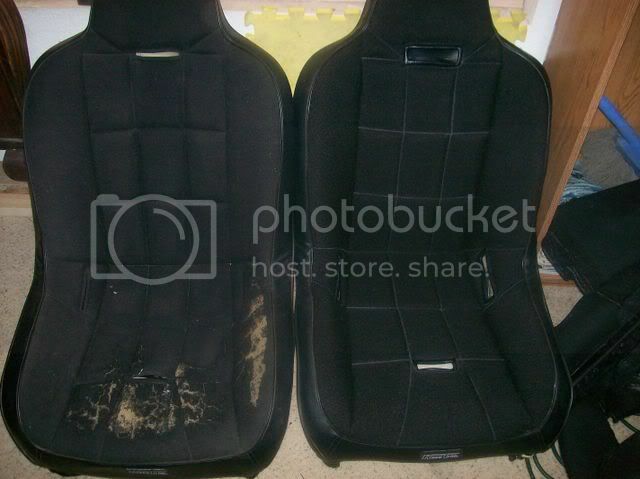 wanna recover my late model high back vw seats???? VW Volkswagen & Baja Bug General Discussion Seats rock laterally. 3 Gunpilot 3085 Seats rock laterally.